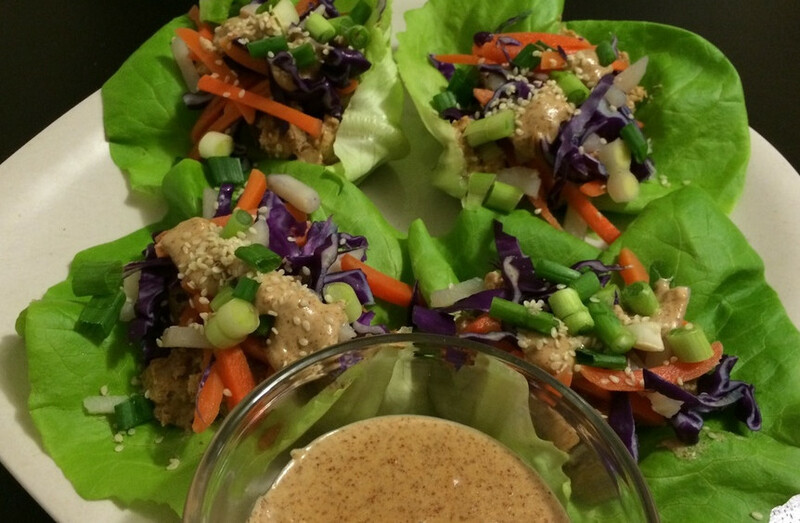 Tempeh Lettuce Wraps with Peanut Sauce Vegans Eat What? Combine all sauce ingredients and blend until smooth, set aside. Lightly steam or simmer the tempeh in water for about 10 minutes (turn once, halfway thru). Dry the tempeh and let it cool. Cube the tempeh then dry sauté the cubes for 5 minutes on medium heat, stirring often. Turn to low, add approximately ½ cup of the prepared peanut sauce and sauté another 2-3 minutes, just until warm. Add the tempeh cubes to the cleaned and prepared lettuce leaves, and top with the remaining ingredients as you see in the photo. 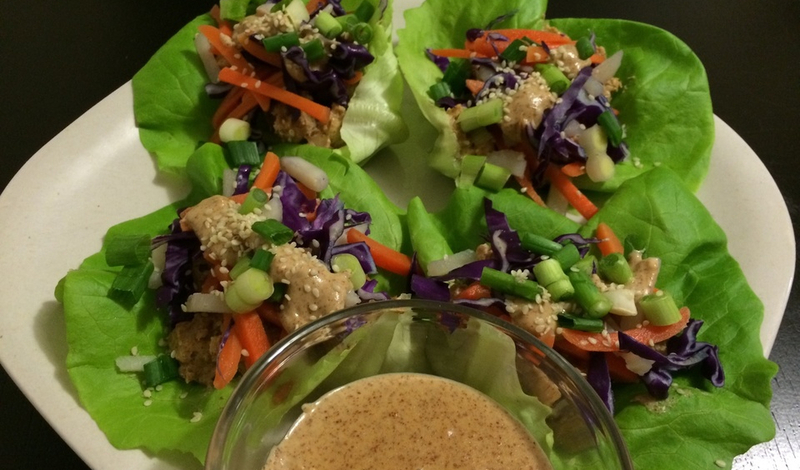 Serve with the peanut sauce atop the wraps or dip as desired.